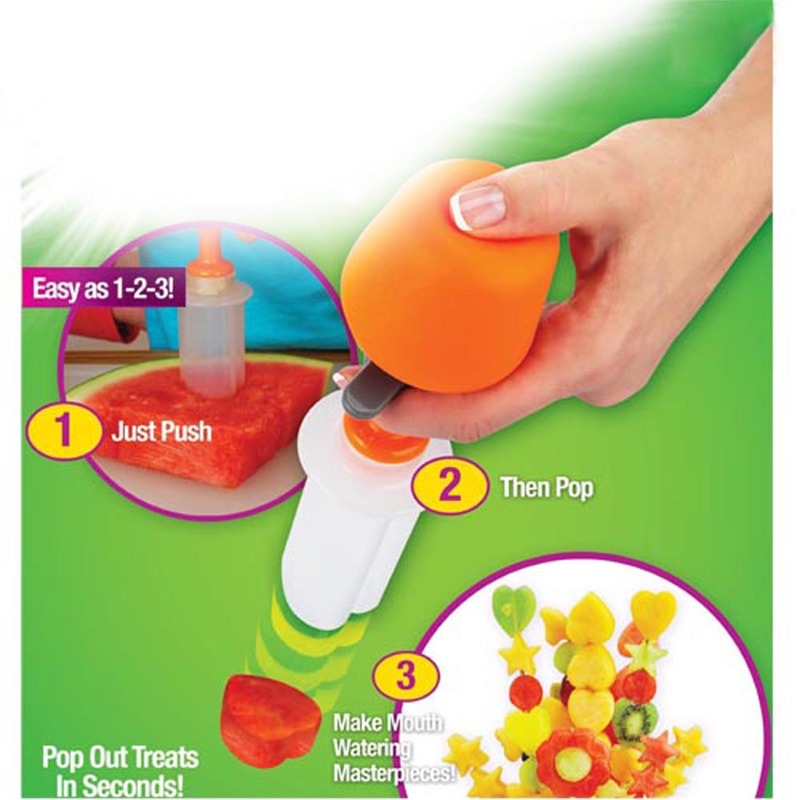 This is a great kitchenware to create fun-shaped fruit and vegetables. Just 2 steps - push and pop, you will create healthy eye-catching snacks that everyone wants to teste. 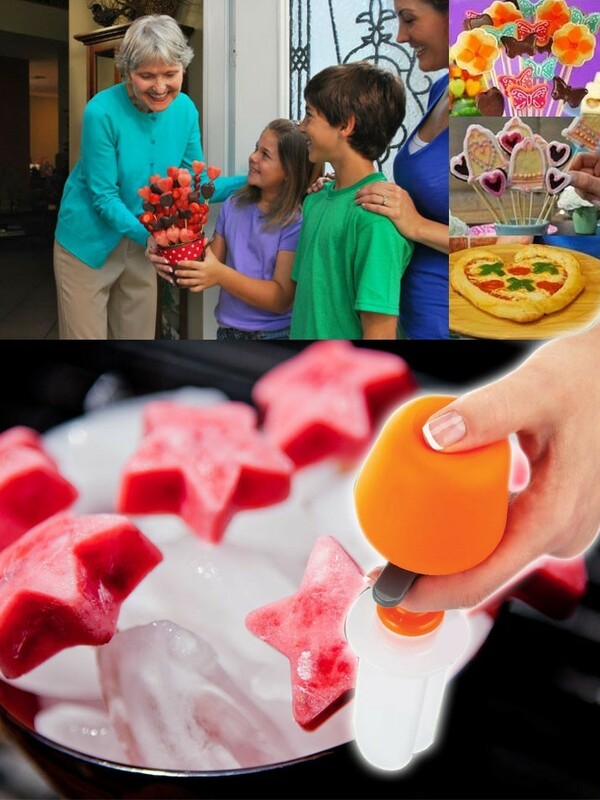 It is suitable for kids to make an edible creation in a safe way. 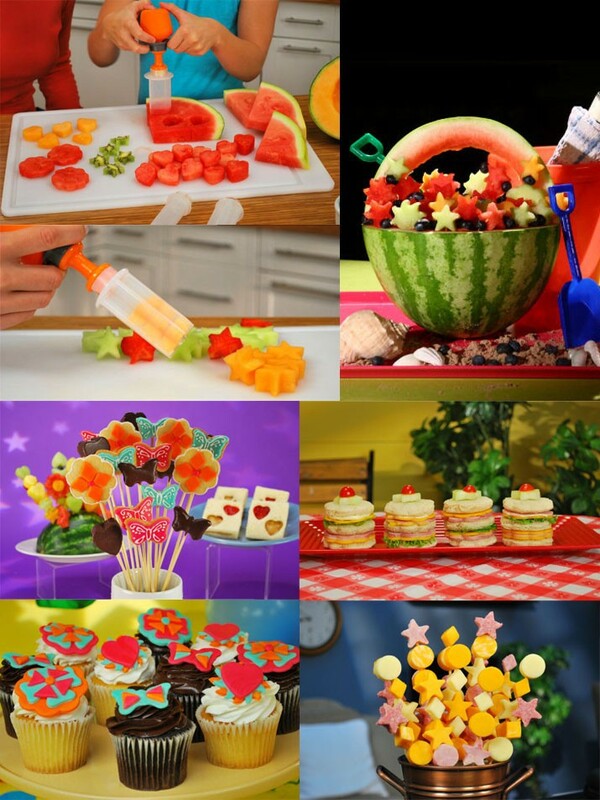 Perfect for decorating birthday, parties and other special events - make mouth-watering masterpieces.